Postal boxes are ideal for shipping smaller produces like DVD's, Books, clothes and much more. These boxes are available is various shapes and sizes. Our ranges of postal boxes are perfect for mail order companies or individuals. We can ensure that whatever product you are shipping our will arrive safe and sound. 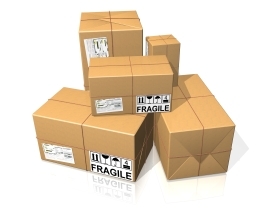 Our postal boxes are more secure and safer to ship those valuable items that are posted via courier. Each of our postal boxes are manufactured using our die cut machines and this enables us to provide you with a high quality, 100% degradable and recyclable high quality material and are available in both single wall or double wall. With various sizes in stock we can provide and ship out your order quickly. Orders are usually shipped imminently.